Embellished with gilded hardware for a bold look, See by Chloé's muted rose leather saddle bag is both feminine and full of impact. 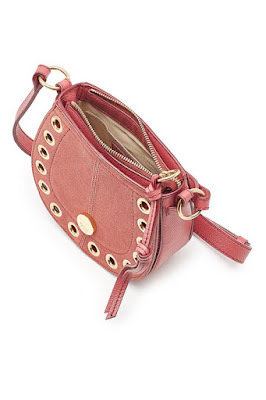 Made instantly recognizable by it's characteristic shape, it's a covetable choice for every day. 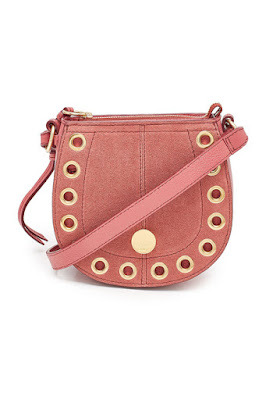 Mini Kriss cross-body bag in grained and suede cowhide with a top zip closure and an adjustable, removable strap. Golden brass eyelets frame the curved base for decorative contrast.